Two Nature papers show that it is possible to make T cells that target some of the few neoantigens expressed by glioblastomas and that T- cell responses can be boosted in cancers. This News & Views discusses the findings. 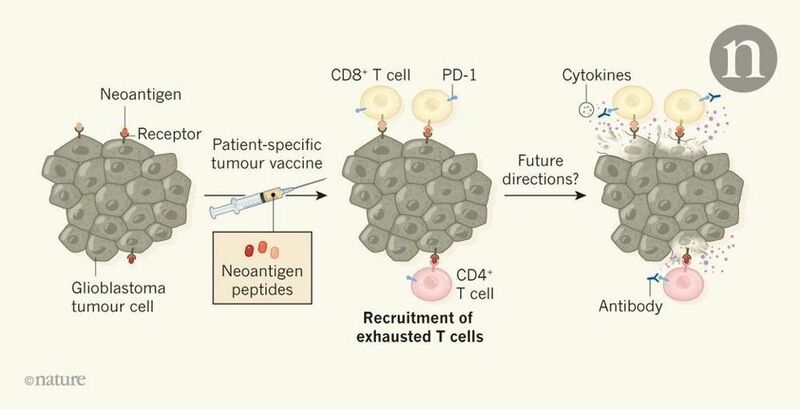 Clinical trials reveal that personalized vaccines can boost immune-cell responses to brain tumours that don’t usually respond to immunotherapy. The findings also point to how to improve such treatments. Personalized vaccines boost immune responses targeting brain tumours.